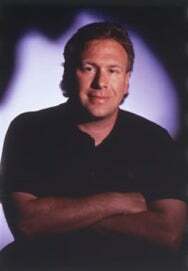 Phil Schiller is working overtime, folks—he wants you to know he’s not just a pretty face standing up in front of the masses, telling them how awesome Snow Leopard is. On the heels of the Apple senior vice president’s response to Daring Fireball’s John Gruber last week, Schiller has also taken the time to respond to Panic co-founder Steven Frank. Last week, Frank, a prominent Mac developer, wrote in a blog post that not only would he not be developing for the iPhone, but that he would also be eschewing an iPhone for his personal use until problems related to the App Store were remedied. This came among criticisms from other high-profile tech personalities in the wake of the Google Voice issue. While Frank did not republish Schiller’s e-mail, he summed it up as saying that Apple was aware of the criticisms and feedback, and that it was working to address those concerns—roughly the same message Schiller had put forth in his e-mail to Gruber. So what’s going on? That’s two communications from Schiller to high-profile Mac figures within the course of a week—is there something in the water over at Cupertino? Does this suggest some sort of change of approach in Apple’s PR strategy? Or has Schiller gone rogue? The thing is, as Frank points out, there’s little about the App Store troubles that can’t be fixed simply by communication, and it appears Apple has finally realized that discourse with its critics (who are also often its most vocal fans) doesn’t have to make the company look weak or compromise its vaunted product secrecy. Apple’s no longer just a purveyor of excellent gadgets, it’s also a company running a huge service that involves itself, its customers, and its developers. If this newfound penchant for communication continues and brings with it actual change, then it bodes well for developers’ complaints. Meanwhile, we know we’ve been critical about some of the App Store policies, so Phil, if you’re ever looking to set the record straight, feel free to drop us a line: our virtual door is always open to you.